Opinions and comments to the Environmental Impact Assessment (EIA) programme on Terrafame's production of battery grade chemicals can be submitted until 17 May 2018 to the Kainuu Centre of Economic Development, Transport and the Environment (ELY Centre). A public consultation on the EIA programme will be arranged at 6 pm on Tuesday 24 April 2018 at the Break Sokos Hotel in Vuokatti, at the address Kidekuja 2. 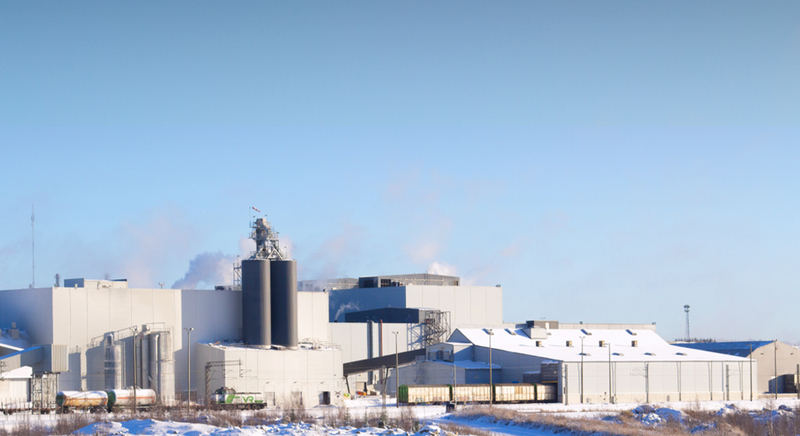 Today, the Kainuu ELY Centre announced an EIA programme on the production of battery grade chemicals by Terrafame. The EIA programme is available on the website of the environmental administration. A link to the EIA programme can also be found at the end of this news release. The EIA programme is a plan on what impacts will be assessed during the EIA procedure, and how the assessments will be performed. Among other things, the EIA programme will present basic information on the project, its options and assessment methods, as well as an evaluation regarding the timing of the project and the EIA procedure. The procedure is part of the environmental permit process. Applying for the permit is expected to become topical in early 2019. The EIA Act, i.e the Act on the Environmental Impact Assessment Procedure, was amended in 2017. In accordance with the new Act, the EIA procedure currently underway focuses on the key effects of battery grade chemicals production. The effects of Terrafame's operations in general were evaluated in an Environment Impact Assessment of production completed in 2017. A public consultation event will be arranged during the EIA programme phase. The structure of the event has been changed based on feedback on previous events. The meeting will cover an introduction to Terrafame and the plant project, a presentation by the Kainuu ELY Centre on the phases of the EIA procedure, and a presentation on assessing impacts by consultant Ramboll Finland. The public will have the opportunity to present brief questions during the presentation phase. Following this, the project and its effects will be discussed further at different booths. "We hope that the restructuring of the format will provide more local residents with the opportunity to ask questions and discuss issues and perspectives, which are of interest to them. Since both our process and environmental experts will attend the event, answers can be provided to a wide range of questions. There will also be less of just sitting and listening," says Veli-Matti Hilla, Chief Sustainability Officer at Terrafame. Coffee will be served from 5.30pm, prior to the event. The battery grade chemicals featuring in Terrafame’s plans, i.e. nickel and cobalt sulphates, are used in the batteries of electric vehicles. A new plant will be required in order to begin battery grade chemicals production. The process will involve the use of ammonia. Ammonium sulphate – a new by-product – is used by the chemical industry and as fertiliser. At this stage, Terrafame will continue to pursue its project planning work. Metals production continues as at present, with annual production of nickel of up to 37,000 tonnes per year, in accordance with the environmental permit application pending with the Northern Finland Regional State Administrative Agency (RSAA). The main product of Terrafame is nickel-cobalt sulphide. The current nickel-cobalt sulphide product is further processed to nickel and cobalt sulphates (up to 170,000t of NiSO4 + 7,400t of CoSO4). The main stages of the process would involve pressure leaching, extraction and crystallisation. The crystallisation stage would be performed using a steam recirculation technique, involving the reuse of residual heat from condensate. In this case, the need for primary energy would be lower than in a straightforward crystallisation process, but would also require the expansion of current steam production. Option VE1 includes two sub-options, VE1A and VE1B, for the expansion of steam production, which differ in terms of the fuel used. 18 MW would be required for steam production. The manufacture of nickel and cobalt sulphates would require the expansion of the existing oxygen plant at the mine. As in option VE1, but with the crystallisation stage being accomplished through a straightforward steam flow-through technique, which is more commonly used but consumes more steam than the crystallisation technique used in option VE1. The steam required in the process would be produced by a solid fuel boiler. The fuel capacity of the boiler is provisionally planned at 47MW. The boiler fuel would primarily consist of clean wood-based fuel and milled peat, but consideration would also be given to using recycled fuel produced from waste generated by in own operations. The new boiler would replace Terrafame's existing metals production power plants, which would be retained as spare capacity. Members of the public can present opinions and comments on the EIA programme to the Kainuu ELY Centre by 17 May 2018. The ELY Centre will provide Terrafame with its own statement on the EIA programme within one month after the deadline for opinions and comments. On the basis of feedback from the EIA programme, Terrafame will draw up an EIA report, i.e. a report on the estimated environmental impact, and submit the report to the ELY Centre in August. Among other things, the EIA report will cover the current state of the environment, and an estimated environmental impact and comparison of the project alternatives. In addition, the report will present methods for preventing and alleviating any detrimental impacts. The ELY Centre will also arrange a public hearing and present its conclusions on the report in due course. Terrafame is also preparing an application for the building permit for the battery chemicals plant. The new plant is being planned for the current plant area.